This is an image from our trip this past summer to Rocky Mountain National Park. I saw these flowers at a stop along Trail Ridge Road which is at a very high altitude. 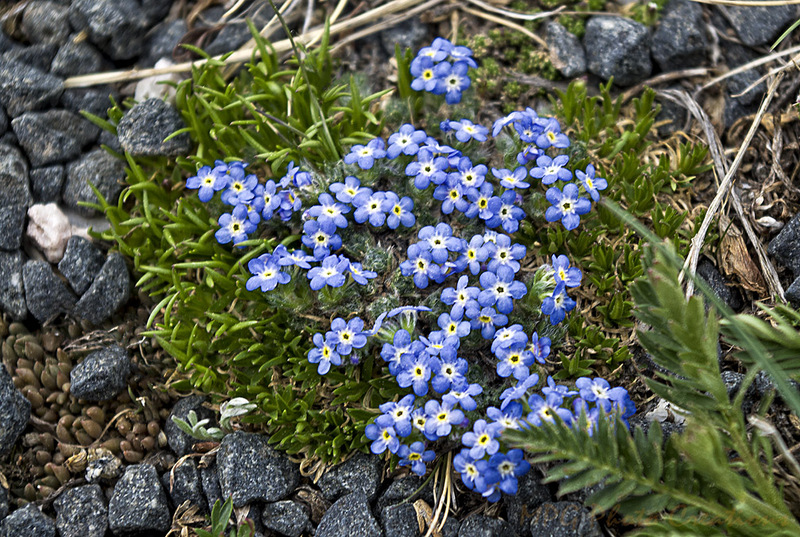 These were lovely little flowers called Alpine Forget-Me-Nots.